Isaiah Kiplagat Memorial Ndalat Gaa formerly Ndalat Gaa cross country meeting was launched today to usher in the cross country season. 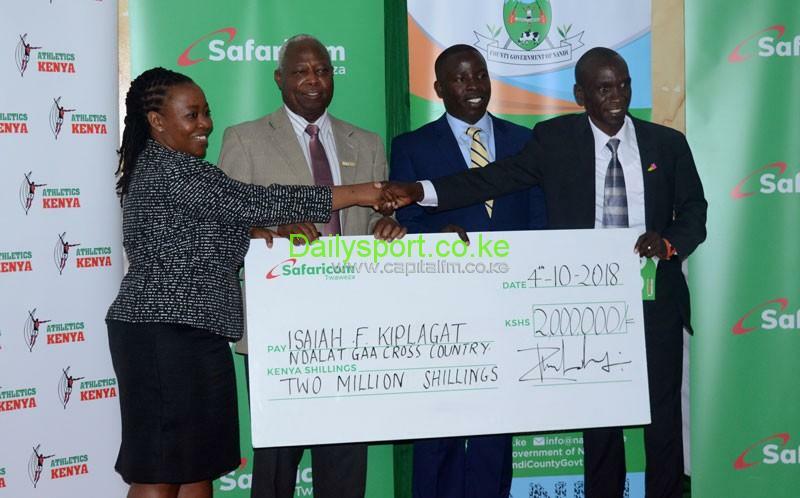 The race, which is part of honouring the late and long serving Athletics Kenya chairman Isaiah Kiplagat will be held on 13th October in Nandi County at Ndalat Gaa Girls ground. Today, race organisers were boosted by Telecommunication giants Sfaraicom who will sponsor the race to a tune of Kshs 2 million in the event that enters its 10th year in a row. Kiplagat passed on in 2016 and for the second time, Olympic Marathon champion Eliud Kipchoge will be the race ambassador and this time he comes in fresh from his exploits at the Berlin Marathon where he made history by setting a new World Record of 2:01:39. Local Organizing Committee (LOC) chair Abraham Mutai who is also the Athletics Kenya (AK) Central Rift chair says they expect a total of almost 6,000 athletes to grace the Cross Country across all categories. Also, as part of the event, there will be a two-day free medical camp which will majorly concentrate on screening of cancer. “Last year, the medical camp ran for only one day and we had to close as late as 10pm and this year, we have decided to make it two days. 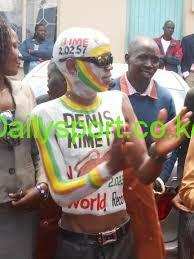 We are also focusing more on the children because the theme of the event is ‘Nurturing Future Talents’,” Mutai said. Mutai further added that having Kipchoge as an event ambassador will go a long way in not only raising the profile of the event but also give the youthful athletes a role model to look up to and guide them. 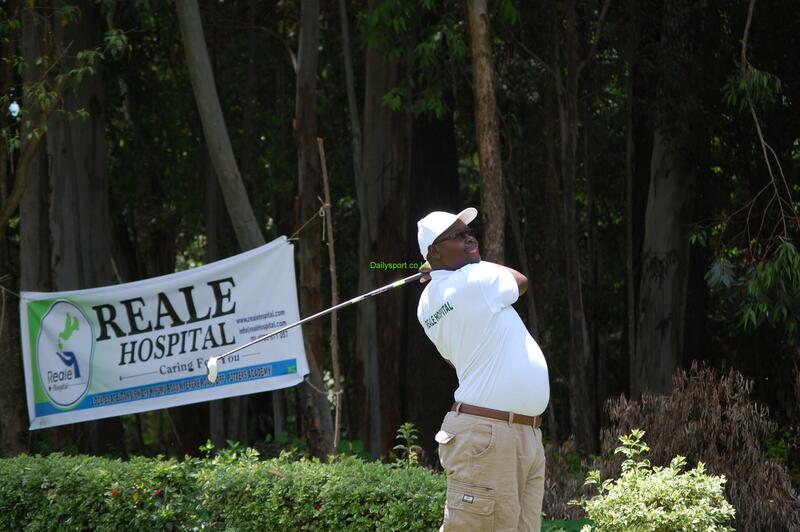 The event has so far received collective sponsorship of close to Sh5mn with the Nandi County Government also matching Safaricom’s pay cheque of Sh2mn. “Nandi is the source of champions. 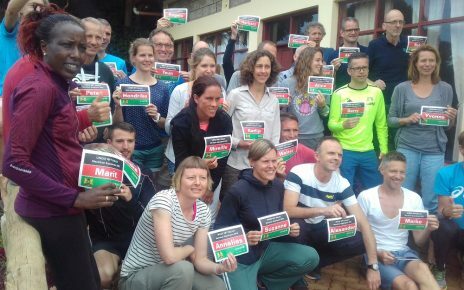 If you look at the just concluded Berlin Marathon, Eliud is from Nandi, the second placed athlete Amos Kipruto is from Nandi, the women’s winner Gladys Cherono is also from nandi County… so we are the undisputed home of champions,” Nandi County Governor Stephen Arap Sang said. The Cross Country has also received a boost from the Mosop Constituency CDF with Member of Parliament Vincent Tuwei saying they have pumped in Sh500,000. There will be a total of 12 categories in the event including a 2km fan race for the VIPs whose winner will get a gourd of Mursik while there will also be a veterans race with the top three getting a cow. 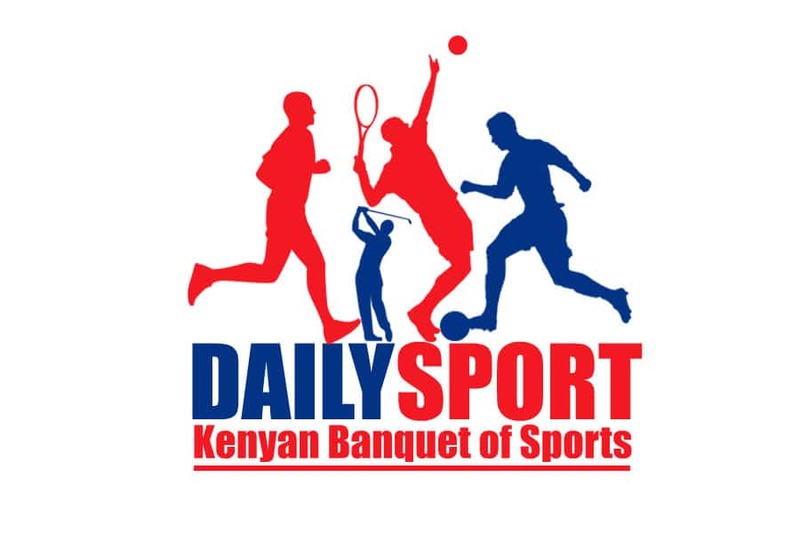 Other categories will include a 500m race for children aged between 4-7 years, a primary school 1km category for kids between 7 and 10 years as well as a 6km Secondary School category where the winners will get Sh15,000 and the first runners up Sh10,000.